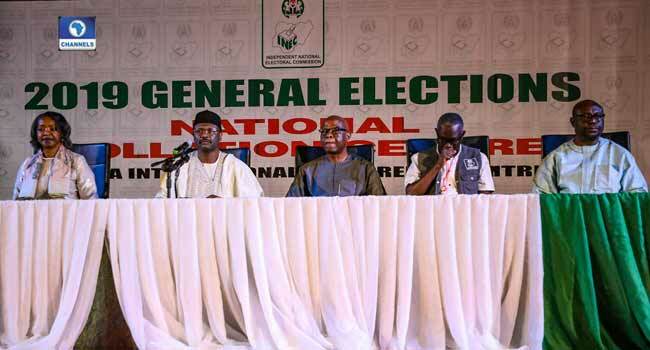 The Economic Community of West African States (ECOWAS) Election Observation Mission to Nigeria for the 2019 presidential and National Assembly elections, has given its preliminary declaration on the conduct of the elections held last Saturday. In attendance were the Head of the African Union (AU) Election Observer Mission to Nigeria and former Prime Minister of Ethiopia, Hailemariam Desalegne; the Special Representative of the Secretary-General and Head of the United Nations Office for West Africa and the Sahel (UNOWAS), Mohamed Ibn Chambas; AU Commissioner for Political Affairs, Minata Samate Cessouma; United States Ambassador to Nigeria, Stuart Symington, amongst others. Speaking at the main hall of the ECOWAS Commission, the Head of the ECOWAS Election Observation Mission to Nigeria and former President of Liberia, Ellen Johnson-Sirleaf, said social media platforms were used by political parties to market their candidates and programmes to young voters. Johnson-Sirleaf, however, added that some of the platforms were used to misinform the public and propagate hate speeches. She also said although electoral campaigns were largely peaceful, some incidences led to violence and to death. On election day, Johnson-Sirleaf said even though a large number of voters arrived and formed queues at 8 am, the late delivery of materials and arrival of polling officials led to delays in the commencement of voting in most places. She further said in some instances, voting delay lasted for up to five hours, even as she said in most of the polling units visited, there were effective presence of security agents, with domestic and international observers. The ECOWAS Election Observation Mission noted that there were violence on election day, particularly in Maiduguri, which it said, affected the process. It also noted the disruption of the process by the malfunctioning of the card readers in a number of polling units, saying that in some cases, the situation caused agitation among in some voters who waited in queues for long hours, a situation which later resulted to manual accreditation. The ECOWAS Election Observation Mission also said there was also disruption due to outbreak of violence in some places which resulted to loss of lives and election materials. In its preliminary conclusion pending the collation and declaration of final results by the Independent National Electoral Commission (INEC), Johnson-Sirleaf said: “The ECOWAS Observation Mission considers the electoral process was largely peaceful and transparent as voters were able to cast their votes freely. “The mission commends the general public and the voters for their patience and determination to exercise their civic responsibility. While urging INEC to take steps to address the shortcomings, it also appealed to party leaders and the media to show tolerance and restrain. It further urged candidates, in the spirit of the commitment made in a peace accord, to accept the verdict of the poll in good faith and in case of complaints, to seek redress by legal means.